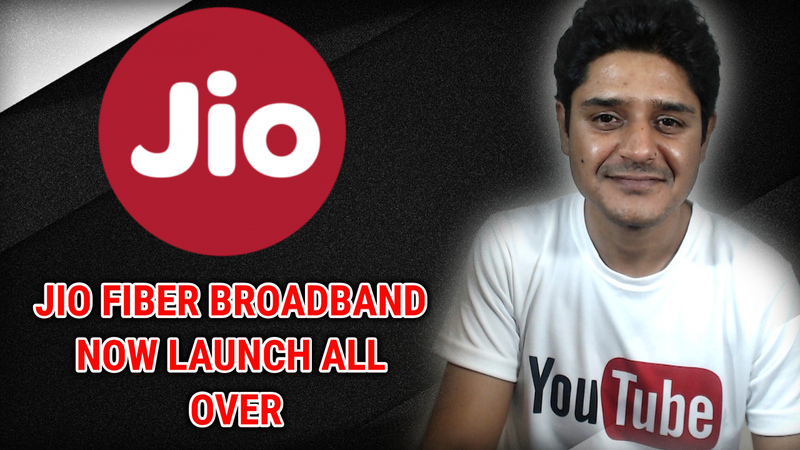 Jio Giga Fiber Broadband Plans launch on July 1st with 100 mbps plan (100 GB data and post 1 mbps) and rates in india. Now wait is over reliance jio Giga fiber optical fiber broadband has been launch with 100 mbps for 90 days in jaipur and other cities along with a monthly data of 100 GB and com access to jio premium apps. It mean you can use 100 GB data on monthly basis if you use the 100GB data within a month You can continue use the fiber broadband and enjoy the high speed this offer is available for limited period time. Just go to Top up of 40gb via my jio app or through Jio.com. As this a new preview offer you don't need to pay for instalation charges. But there is deopsit fees of 4500 rs charges which are totally refundable as a token deposit for the ONT device(GigaHub Home Gateway) this amount need to pay via debit card and credit card or jio money or Pay TM money. 100 MBPS plan at 1000 rs monthly with data of 100gb monthly for 90 days. Refundable security deposit of 4500. Optical fiber line at your home and use features like watch jio tv at ultra high speed broadband services.